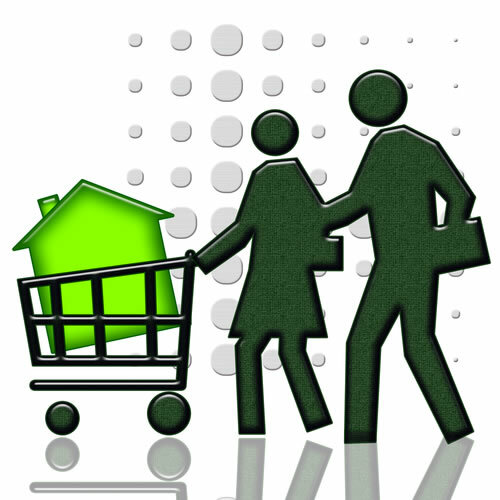 The government’s intention is to prioritise the delivery of ‘affordable’ homes under €300,000. All eyes are on the bottom line as the costs of construction have come under intense scrutiny. Those seeking to help solve Ireland’s housing emergency would do well to take a very close look at the costs associated with two separate but connected housing schemes under construction on the island of Ireland. These housing schemes are the ‘Rapid’ social houses commissioned by Dublin City Council and funded by the Department of the Environment at Poppintree in Ballymun and the other scheme is less than 100 miles away in Dungannon, Co. Tyrone. 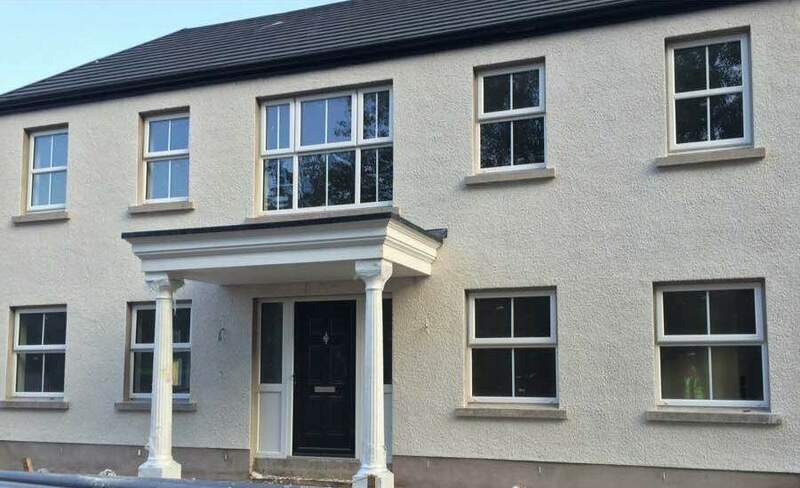 What is of particular interest and relevance is that both schemes are being built by the same firm of builders, Western Building Systems based in Coalisland, Co. Tyrone. 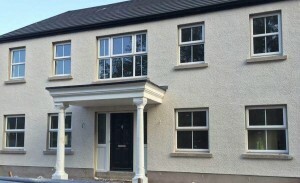 The houses appear to cost similar amounts but in Co. Tyrone you get a lot more ‘brick for your buck’! 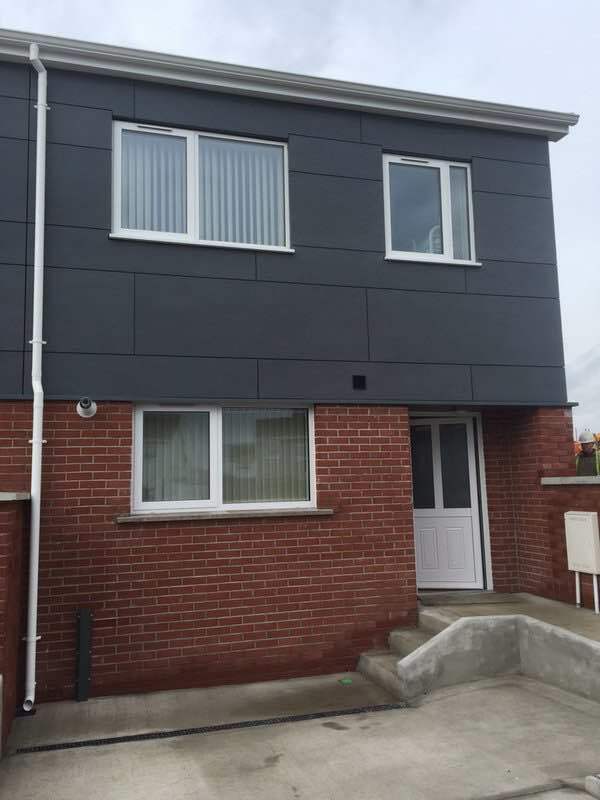 The ‘Rapid’ Social houses in Ballymun are costing upwards of € 240,000 each to build. This excludes any land costs, planning fees, development levies or developer’s profit that would need to be factored in to most new housing developments. For this amount the completed house is a terraced, three-bedroom unit with a below minimum standard floor area of 91 m2 (image above) and represents a build cost in the region of a whopping €2,660 per square metre. It is the BRegs Blog’s belief that a detailed comparative analysis of these two schemes would provide crucial information on why construction costs south of the border are so much higher than for our Northern counterparts. It would be very interesting to hear from Western Building Systems on how this anomaly is explained between the two jurisdictions in which they are operating. Is it not time for an independent Regulatory Impact Assessment to be carried out on the barriers to the delivery of affordable housing in the Republic of Ireland and see what can be learned from the Northern Ireland experience? This is certainly something the Dáil Committee on Housing and Homelessness, established last week, needs to examine as a priority. This entry was posted in Building Regulations on April 18, 2016 by BRegs Admin. This cost is 247 Euro per square foot. A colleague and I costed a house, superstructure only, to a BER rating of approximately of A3 at 80 Euro a square foot. This was back in 2010. Still. Perhaps my memory is playing tricks on me. I will have to dig out the files later in the week, but I know it was of that order. With all in building costs but excluding groundworks I think it rose to 120 Euro per sq.ft. That was with fittings, tiling and pain finish but not a full interior design package with furniture etc. You can factor in the past six years (has it been that long?!) and it still doesn’t reach 247 Euro a square foot. “We have seen estimates previously on AAM – circa six months ago re the likely range for building work these days. The exclusions on the “expensive materials, kitchens or sanitary fittings” is because a Chalon or other high end kitchen can cost €90,000. The above also exclude the costs of extensive landscaping, boundary treatment or a long driveway or large car parking area. They assume your site is on a pipe, since with the impending new legislation sanitation treatment may be significant. “We priced a job for €85 a sq.ft. recently. We were working with a project manager who controlled the builder. The price was partly acheived through a detailed buildability exercise based on goods as supplied to the trade. We worked through the specification from the excavation up to using standards lengths of timber for floors – uncut – to save money. That price excluded siteworks, which should be minimal on an extension with an existing drainage system. Really though its hard to see where the additional 100 Euro per sqft went except into the builders profits. Unless he had to bribe someone to sign the Design and Assigned Certs.